Take your regular backswing and stop at the top. 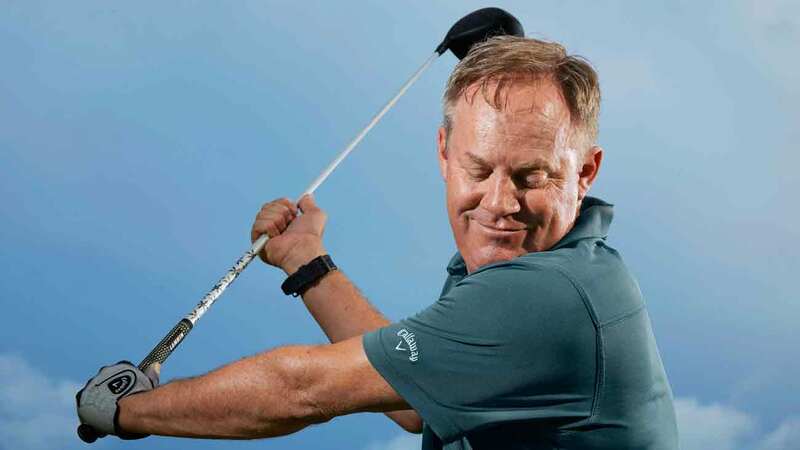 If you've noticed a serious lack of power in your game recently, you probably look like this (photo, below): left elbow bent, hands in close to your body. You're all arms and no turn, and it's costing you yards. A soft-arms backswing not only saps driver power, it also promotes an over-the-top slap. Getting your left shoulder under your chin while keeping your left arm fully extended increases power. 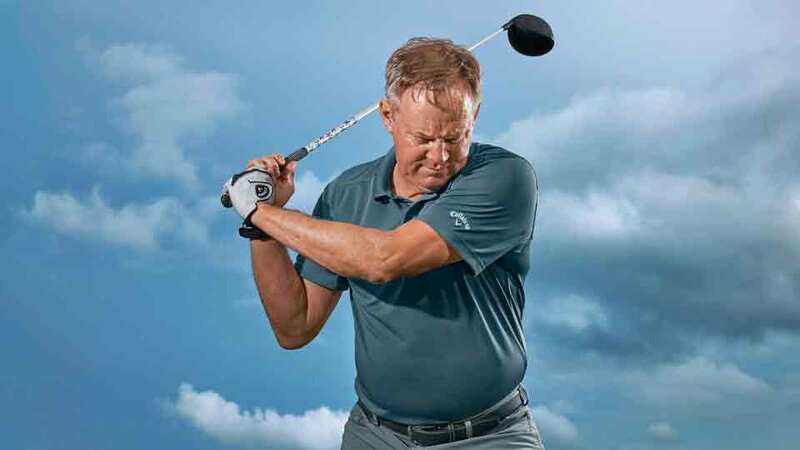 Thanks to this easy drill, you've learned how to combine arm swing with shoulder turn to create maximum potential energy on your backswing. Do this on the range when you're practicing with your driver or even on the box during your round when prepping to tee off. It's a great way to remind yourself during play to complete your turn and deliver with authority.